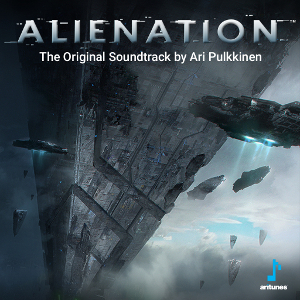 The Alienation Original Soundtrack, which released alongside the game of the same name, is the latest effort by Ari Pulkinnen and continues his relationship with Housemarque, who have built quite a following with their games, Super Stardust HD, Dead Nation, and Resogun. 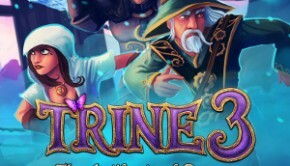 Does Pulkinnen’s latest score work well in the game and on a standalone basis? 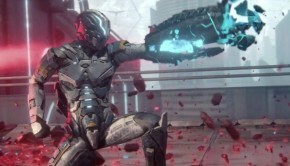 The album opens with “Alienation Theme,” which gives a good overview of the soundtrack to follow. Taking a cinematic sci-fi approach, the combination of militaristic percussion, synth and electronic components, and a general focus towards epic orchestral parts, helps craft a dynamic theme with a great melody that shows what the world of Alienation is all about. “New Recruits” is a militaristic orchestral tune that is quite serious in tone that does incorporate some electronic aspects, but certainly isn’t the focus in this piece, while also incorporating a guitar rendition of the main theme. Two themes, which certainly work better in game, are “The Abyss” and “The Dread,” both of which take on atmospheric, industrial soundscapes that are a bit hard to get through on a standalone basis. “Debrief,” similar to the main theme, also features a sci-fi sound, focusing more on electronic tones and offers a bit of an ominous sound. It’s another tune that I feel works better in game, but isn’t as intriguing of a listen outside of the game. The remainder of the tracks all focus around the music that plays during the levels. In game, these tunes are dynamic and scale with the action on-screen, described to me by the composer as Ambient, Casual, and Action. 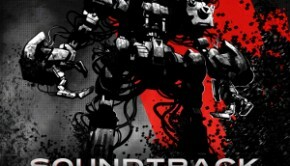 However, on the soundtrack, they are separated out due to time constraints in terms of the release of the soundtrack, so the base structure of all the tunes in a specific trio are similar. “Barrows Rising” is an ambient tune, with soft electronic accompaniment, that gives off an eerieness and sporadically incorporates some orchestral motifs. “Barrow Remains” places a stronger emphasis on orchestral elements with brass taking the forefront. Lastly, “Barrows Action” still focuses on orchestral music at its core, but incorporates a more electronic driven rhtyhm that helps increase the energy when action on the screen is at its maximum. “Pripyat Tension” features a choral focus with orchestral support. It’s dark, haunting, and the soft electronic elements help elevate the tune. “Pripyat Memorial” sees the choir and orchestra brought to the forefront a bit more while the electronic portions see an increase in tempo. On the whole, it’s also a bit more heroic sounding. Lastly, “Pripyat Counter-insurgency” is much more industrial in tone while still keeping the other elements from the previous versions in play. “Fort Itaipu Awakening” is a more electronically oriented tune from the get-go compared to the previous levels and features a bit more of an infiltration sound to it, similar to what one might here in an action thriller. It is still a very atmospheric piece, but hints of beauty and omen are incorporated as well. “Fort Itaipu Investigation” sees a bit more of an orchestral focus in the mix, but the electronic elements are also much more prominently featured. These changes help bolster the infiltration sound heard in the first rendition. The action oriented version, “Fort Itaipu Code Red” is much more electro in execution and is quite tense in nature. It also incorporates more of an industrial sound to it while the orchestral tones aren’t as prominently featured. It’s quite an engaging tune and is reminiscent of the sound found in Super Stardust HD. “Ashlands Maneuvers” is a beautiful orchestral driven piece with a sci-fi electronic accompaniment. It features a very flowing sound, but one that is also a bit mysterious. “Ashlands Ground Zero” features a richer orchestral sound with a slightly more prominent focus on electronic and percussive components. “Ashlands Red Alert” is much more electronically oriented and helps add a lot of intensity to the mix. The blend of orchestral components heard in previous renditions and the stronger electronic sound works quite well together. “Xenos Relics” is an atmospheric piece, with industrial electronic tones that also features some dark sci-fi orchestral sounds. It’s quite ominous and dreadful in tone. “Xenos Encounters” is more dire in tone with a darker sound and heavier electronic components while “Xenos Hazards” features a dance-like vibe with the aforementioned elements that helps gives a sense of urgency. The Alienation Original Soundtrack certainly works well within the context of the game, crafting a world that fits the sci-fi environment, even if, at times, it’s a bit cliche. Where it suffers from this standalone release is the implementation of said music, particularly when it comes to the dynamic music. While each track certainly builds upon its predecessors, it can be a bit exhausting hearing three tunes, structurally similar with only slight changes, in a row. That isn’t to say the music itself isn’t well-crafted, it’s just not implemented ideally in this case. 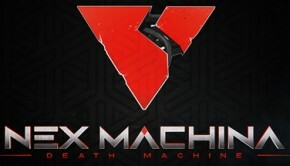 For fans of the music heard while playing the game, it might be worthwhile, but for those looking to purchase this as a standalone, it might not satisfy as fully, given the separation of the level music, rather than a dynamically mixed one. Posted on June 7, 2016 by Don Kotowski. Last modified on June 7, 2016.